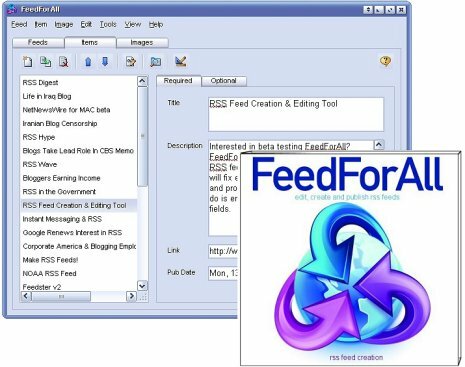 FeedForAll Easily create, edit and publish rss feeds and podcasts with software. O Easily create, edit and publish rss feeds and podcasts. New RSS feeds and podcasts can be quickly and easily created with FeedForAll. Advanced features enable you to create iTunes compatible podcasts. Built-in RSS feed validator verifies feeds. See above information and user's reviews about FeedForAll Easily create, edit and publish rss feeds and podcasts with software.